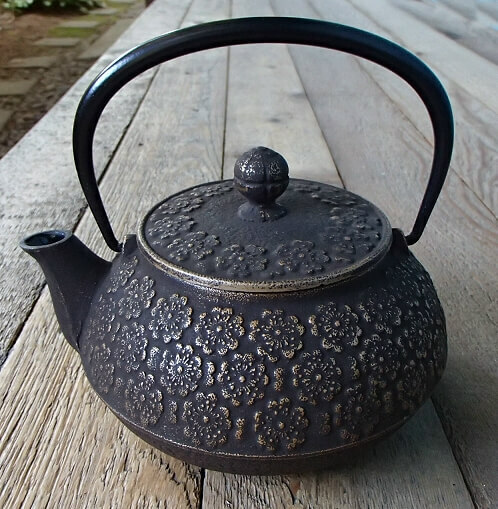 An underlying warm bronze color highlights the classic raised plum blossoms and a brown wash over top emphasizes the intricate design. 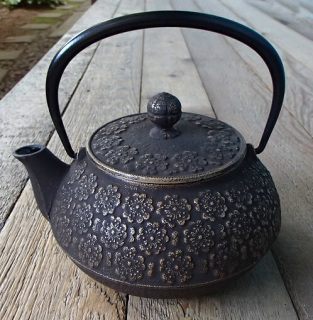 This cast iron Tetsubin teapot includes a fitted fine mesh tea strainer basket and a porcelain enamel coated interior. Ideal for that sixth wedding anniversary gift. Care instructions will be included with every Tetsubin.